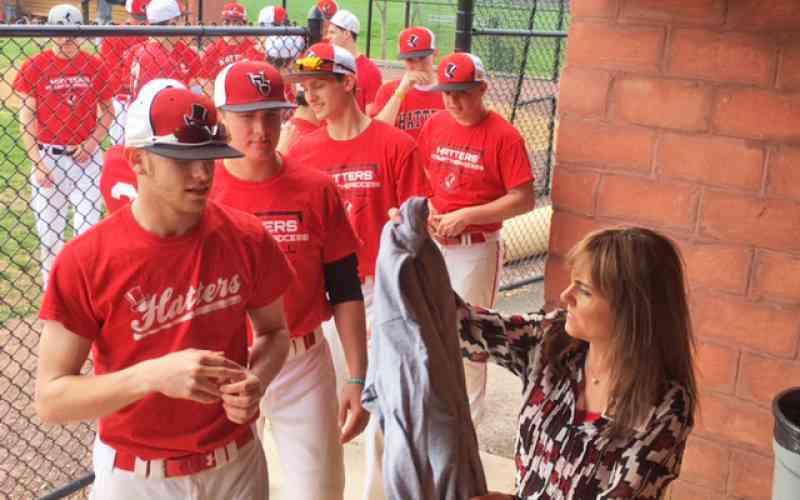 Hatboro-Horsham High School's varsity softball and baseball teams have new motivation to hit for extra bases. For each double tallied this season, Kyffin Grove will donate $20 to the team. Our Executive Director Dee Jones and Community Relations Director Kylie Hood stopped by a recent Hatters practice to kick off the "Swing for Doubles" program and hand out T-shirts. Why doubles? It takes hustle to turn a single into a double and it takes smarts to stop at second instead of getting thrown out at third. In baseball and in life, our seniors know that hard work and good decision making are the keys to success. And we’d like to pass along that message to young athletes.